Just in case you have been living under a rock, a shirt is a cloth garment for the upper body. There are many different types of shirts in existence. One of which would be a plaid shirt. A plaid shirt is often made of flannel fabric and worn during the winter. However, plaids can also be made in other fabrications. A good example would be a madras plaid. Madras is a lightweight cotton fabric with typically patterned texture and plaid design, used primarily for summer clothing such as pants, shorts, dresses, jackets and obviously shirts. The fabric takes its name from the former name of the city of Chennai in India. Madras today is available as plaid patterns in regular cotton, seersucker and as patchwork madras, meaning cutting several madras plaid fabrics into squares or rectangles and sewing them back together to form a mixed pattern of various plaids. In North America the word plaid is a synonym for tartan. Using the term “tartan plaid” is rather redundant. Although tartan is often called plaid in North America, in Scotland the word plaid has a different meaning. A plaid in Scotland is a tartan cloth slung over the shoulder as a kilt accessory, or a plain ordinary blanket such as one would have on a bed. Because Apparel Search is based in the USA, we will be using the word “Tartan” and “Plaid” interchangeably on this page. 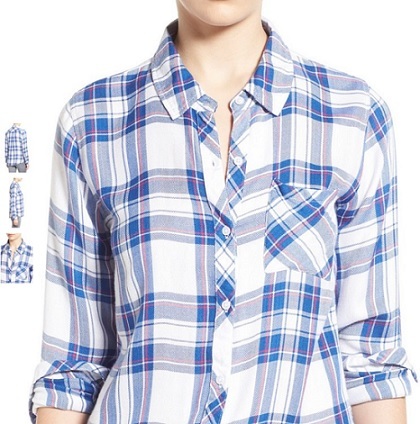 Plaid is a pattern consisting of criss-crossed horizontal and vertical bands in multiple colors. This type of fabric originated in woven wool, but now they are made in many other materials. Cotton flannel plaids are very popular in sleepwear, robes, and loungewear in the United States and other locations around the world. You may want to view our flannel pajamas page as well. Tartan is made with alternating bands of colored (pre-dyed) threads woven as both warp and weft at right angles to each other. The weft is woven in a simple twill, two over and two under the warp, advancing one thread at each pass. This forms visible diagonal lines where different colors cross, which give the appearance of new colors blended from the original ones. The resulting blocks of color repeat vertically and horizontally in a distinctive pattern of squares and lines known as a sett. A full plaid is a long cloth made with a tartan pattern wrapped around the waist and cast over the shoulder and fastened at the front. Traditionally worn as part of a full highland dress uniform. It usually matches the tartan of the kilt. Although it goes over the shoulder, this is not what we are talking about when we talk about a plaid shirt. First of all, plaid fabric is typically a woven fabric. However, plaid patterns can be “printed” onto fabrics that are woven or knit. But that would not technically be a woven plaid. In this section we are talking about woven plaids, NOT printed plaid designs. 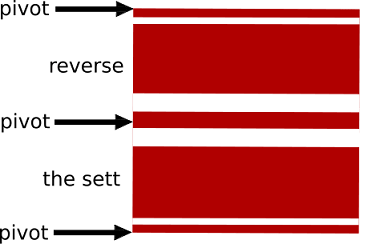 Woven fabric only stretches diagonally on the bias directions (between the warp and weft directions), unless the threads used are elastic. Woven fabric cloth usually frays at the edges, unless techniques are used to counter it, such as the use of pinking shears or hemming. 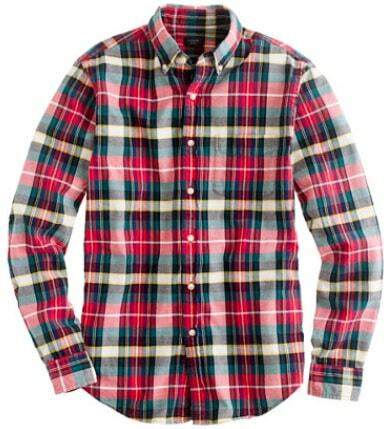 Traditional plaid flannel shirts are made from woven fabrics. Before reading further, let us explain that the “warp” means vertical and “weft” is horizontal. That may be helpful when reading the following explanation. Each thread in the warp crosses each thread in the weft at right angles. Where a thread in the warp crosses a thread of the same color in the weft they produce a solid color on the tartan, while a thread crossing another of a different color produces an equal mixture of the two colors. Thus, a sett of two base colors produces three different colors including one mixture. The total number of colors, including mixtures, increases quadratically with the number of base colors so a sett of six base colors produces fifteen mixtures and a total of twenty-one different colors. This means that the more stripes and colors used, the more blurred and subdued the tartan's pattern becomes. 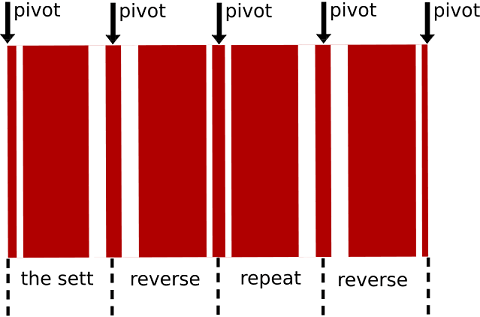 The sequence of threads, known as the sett, starts at an edge and either repeats or reverses on what are called pivot points. 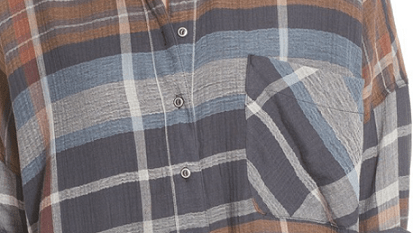 When manufacturing plaid shirts some companies will try to match the plaid lines from the body of the shirt to the sleeves. They will also try to match the plaid pattern for the sewn on pockets. Other manufacturers will not try to match the pattern from one sewn part to the next. It is more costly to try and match the plaid pattern from one sewn part to another. It effects the fabric consumption used to make the garment which has a negative effect on fabric utlization. Here is an example of a pocket sewn onto a short with out the plaid pattern being cut & sewn to match the proper direction of the plaid on the body of the shirt. The shades of color in plaid can be altered to produce variations of the same plaid. The resulting variations are termed: modern, ancient, and muted. These terms refer to color only. Modern represents a tartan that is colored using chemical dye, as opposed to natural dye. In the mid-19th century natural dyes began to be replaced by chemical dyes which were easier to use and were more economic for the booming tartan industry. Chemical dyes tended to produce a very strong, dark color compared to the natural dyes. In modern colors, setts made up of blue, black and green tend to be obscured. Ancient refers to a lighter shade of tartan. These shades are meant to represent the colors that would result from fabric aging over time. Muted refers to tartan which is shade between modern and ancient. This type of tartan is very modern, dating only from the early 1970s. This shade is said to be the closest match to the shades attained by natural dyes used before the mid-19th century. The idea that the various colors used in plaid have a specific meaning is purely a modern one. 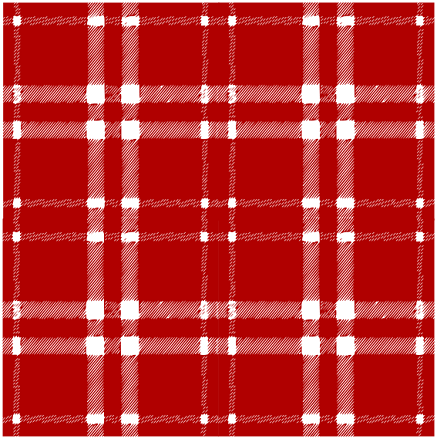 One such myth is that red tartans were "battle tartans", designed so they would not show blood. It is only certain recently created tartans, such as Canadian provincial and territorial tartans and American state tartans, that are designed with certain symbolic meaning for the colors being used for the fabric. For example, the color green sometimes symbolizes prairies or forests, blue can symbolize lakes and rivers, and the color yellow is sometimes used to symbolize various crops. What is the origin of the word plaid? The word plaid, derived from the Scottish Gaelic plaide, meaning "blanket", was first used of any rectangular garment, sometimes made up of tartan, particularly that which preceded the modern kilt. In time, plaid was used to describe blankets themselves. Do lumberjacks really wear plaid shirts? Lumberjacks are workers in the logging industry who perform the initial harvesting and transport of trees for ultimate processing into forest products. The term usually refers to a bygone era (before 1945 in the United States) when hand tools were used in harvesting trees. Because of its historical ties, the term lumberjack has become ingrained in popular culture through folklore, mass media and spectator sports. The actual work was difficult, dangerous, intermittent, low-paying, and primitive in living conditions, but the men built a traditional culture that celebrated strength, masculinity, confrontation with danger, and resistance to modernization. In popular culture, the stereotypical lumberjack is a strong, burly, usually bearded man who lives to brave the natural environment. He is depicted wearing suspenders, a long-sleeved plaid flannel shirt, and heavy caulk boots, and is often characterized as having an enormous appetite for flapjacks (pancakes). He works by cutting down trees with either an axe or with the help of another lumberjack and a crosscut saw, as opposed to the modern chainsaw. So yes, they often wear plaid flannel shirts, but they don’t have to. Plaid is particularly associated with Scotland, but is utilized around the world. In the Victorian and Edwardian eras, tartan-clad garments featured in fashion catalogues. By then, tartan had shifted from being mainly a component of men's clothing to become an important part of women's fashion. In consequence of its association with the British aristocracy and military, tartan developed an air of dignity and exclusivity. Because of this, tartan has made reappearances in the world of fashion several times. For instance, tartan made a resurgence in its use in punk fashion. In the late 1970s, punk music was a way for youth in the British Isles to voice their discontent with the ruling class. The unorthodox use of plaid, which had long been associated with authority and gentility, was then seen as the expression of discontent against modern society. In this way tartan, worn unconventionally, became an anti-establishment symbol. Since the Victorian era, authorities on tartan have stated that there is an etiquette to wearing tartan, specifically tartan attributed to clans or families. This concept of the entitlement to certain tartans has led to the term of universal tartan, or free tartan, which describes tartan which can be worn by anyone. Traditional examples of such are the Black Watch (also known as Government, Universal, and Campbell), Caledonian, Hunting Stewart, and Jacobite tartans. Depending upon how "different tartan" is defined, it has been estimated that there are thousands upon thousands of different plaids in existence. With four ways of presenting the hues in the tartan — "modern", "ancient", "weathered", and "muted" colors it greatly increases the number of recognized tartan variations from which to choose. Until the late 20th century, instead of a central, official tartan registry, several independent organizations located in Scotland, Canada, and the United States documented and recorded tartan. In the 1960s, a Scottish society called the Scottish Tartans Society (now defunct) was created to record and preserve all known tartan designs. The society's register, the Register of All Publicly Known Tartans (RAPKT), contains about 2,700 different designs of tartan. The society, however, ran into financial troubles in about the year 2000, and folded. Former members of the society then formed two new Scottish-based organizations — the Scottish Tartans Authority (STA) and the Scottish Tartans World Register (STWR). Both of these societies initially based their databases on the RAPKT. Both organizations are registered Scottish charities and record new tartans. The Scottish Register of Tartans (SRT) is Scotland's official tartan register. The SRT is maintained and administrated by the National Archives of Scotland (NAS), a statutory body based in Edinburgh. The aim of the Register is to provide a definitive and accessible resource to promote and preserve tartan. It also aims to be the definitive source for the registration of new tartans (that pass NAS criteria for inclusion). The register itself is made up of the existing registers of the STA and the STWR as they were at the time of the SRT's launch, and new registrations from 5 February 2009 onward. On the Register's website users can register new tartans (for a fee), search for and request the threadcounts of existing tartans and receive notifications of newly registered tartans. One criticism of the SRT and NAS's management of it is that its exclusivity, in both cost and criteria, necessarily means that it cannot actually achieve its goals of definiteness, preservation and open access. The current version of the STA's ITI, for example, already contains a large number of tartans that do not appear in the SRT, and the gulf will only widen under current policy. Even if plaid did not begin in Scotland, it is certainly fair for the Scottish people to be known as the ones that have utilized it the most predominantly over the years. When Apparel Search thinks about Tartan, we will continue to think about Scotland as its primary home. Many cultures in the past, present and future enjoy wearing plaid shirts. Street punk fashion commonly sported multi-coloured Mohawk hair, heavily studded vests, leather jackets, and shirts in various plaids. Learn about punk plaid shirts. Grunge fashion also was known for flannel plaid shirts. Learn more about grunge plaid shirts. You may also want to learn about striped shirts as an alternative option.